The telecommunications sector is no stranger to big data. As a premier vendor for Revenue Assurance and Fraud Management solutions, Subex is no stranger to big data too. Traditionally, our RA & FM applications process billions of transactions every single day. 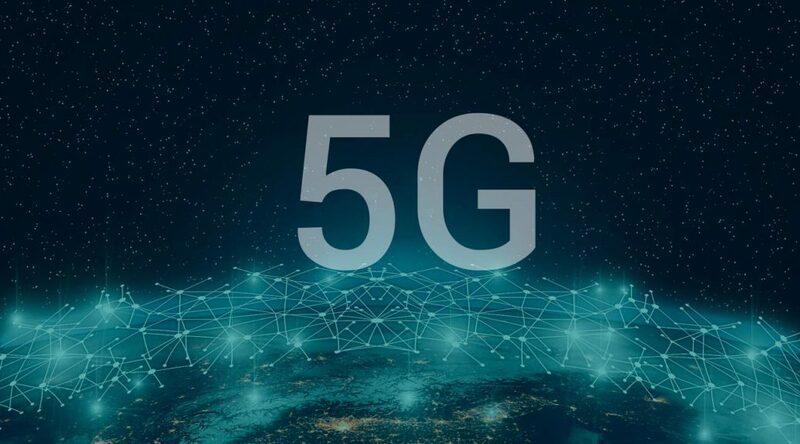 The past few years have been particularly demanding – with the proliferation of 4G, LTE and the upcoming 5G, data has exploded and continues to. Change seems to be the only constant. “Does your tool comply with big data technologies like Hadoop”? Request for proposals (RFXs), are one of the modes, through which Subex periodically receives the customer requirements. A key component in Subex RA & FM solution is the database. For many years, RDBMS like Oracle, MYSQL, Vertica, have been the preferred choice for telcos. There is a new trend now – Hadoop. Telcos are now considering big data technologies like Hadoop. Looking into the trend of RFPs over the past years, gives an understanding of the future. The requirement for big data technologies have gone up two times in the past 2 years. Recognising the importance of big data and its’ relevance to the RA & FM teams, Subex started offering Hadoop as a platform of choice a few years back. Today, we are hosts to many live implementations around the world, processing billions of transactions every single day. Big data is empowering RA & FM teams with big possibilities. To learn how you can benefit, talk to us. Shradha has over 9 years of experience in the telecom domain, and currently leads Bid Management at Subex. 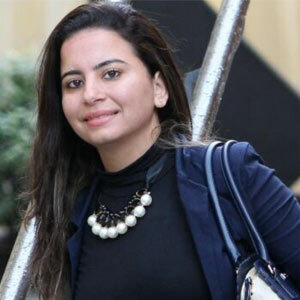 She is responsible to provide the bid team with the relevant service/product/business knowledge required to prepare a winning bid, whilst taking ownership of the end-to-end bid process. 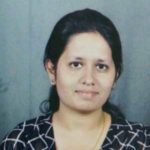 She has worked with industry leaders like Tata Tele Services and Bharti Airtel, and holds strong experience in business requirements gathering, requirements analysis, U&R business process as well. It’s been more than a year since I have even looked at my phone bill, lying in my inbox, marked as read, never to be opened. Bundle of services packaged under a single price, only to change by a small margin when India moved to a single Goods & Services Tax framework. This is the new world of telecommunication. Select services of your liking, planned well like mine is, you would rarely be looking into your bills, scrutinizing itemized lines and stressing about your usage with customer care. In a recent survey of complaints received at the CCTS (Commission for Complaints about Telecom-Television Services, Canada) while incorrect charging complaints increased by 71% Y/Y, complaints on changes to contracts increased by over 200% Y/Y. This trend is one of the key indicators of the change that is emerging in the space of assurance. The others being the steady and continuous interest in mitigation of risks within the partner ecosystem primarily related to contracts, margin, partner invoices, and inventory. Today with telcos moving into the domain of content providers with offerings of entertainment streaming, current affairs consumption, shopping, and many more options. 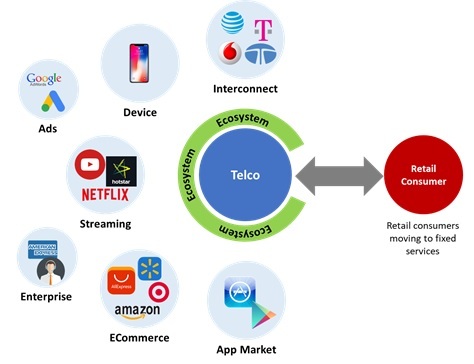 All these services are bundled into a highly configurable plan that has an “all you can eat” approach as long as it is within the “Fair usage policy” means for a telco subscription, services, on-boarding, customer intelligence, and QoS are the critical assurance parameters from a retail point of view. However, the change being addressed has a pivotal impact from a B2B perspective from the massive complexity of the partner ecosystem. Today for a partner ecosystem the risk universe includes devices, direct carrier billing, partner credibility, partner & product margins, pay-in & pay-outs, revenue sharing, contract alignment and many more which needs to be monitored & actioned on at near real time. In short Business Assurance is the new Revenue Assurance. It is not a question of if this transformation will happen but when will it happen? If it hasn’t yet started, it will. 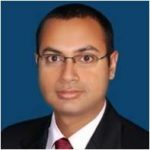 Srikanth is a Senior Consultant in Subex’s Business & Solutions Consulting vertical, focusing on Emerging Markets. He has over 9+ years of experience in consulting and advisory in the telecom industry with key focus on Revenue & Cost Assurance, Information Security, Governance Risk and Compliance. His client portfolio includes Aircel, MTNL, Tata Communications, Videocon, DST and PGi in APAC; STC, MTN, BTC in EMEA; Verizon, XO, Fairpoint and AT&T in NA. In the last few years, OTT players taking away a sizable chunk of the telco revenues. To deal with this, it’s time the operators harness the potential of new streams of revenue. Direct Carrier billing is one such avenue. Direct Carrier Billing is a telco driven payment model, for the digital services. Direct Carrier Billing (DCB) opens the possibility of generating a new revenue stream for operators, by leveraging on the existing telco network and the billing relationship with the customers. 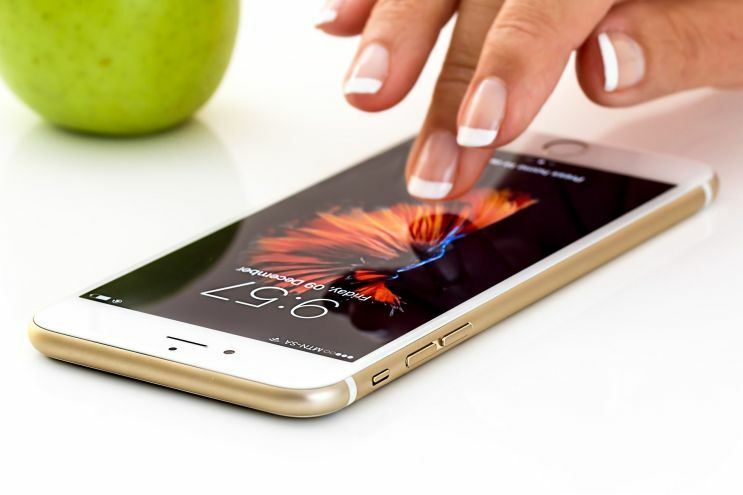 Direct Carrier Billing, enables telcos to allow its wireless subscribers (both prepaid and postpaid) to purchase goods and services using their handsets. The cost of purchased good and services are added to their monthly phone bill or deducted from the prepaid balance, thereby providing a seamless & secure payment mechanism. This medium enables a very simplified online payment experience with just a click to complete a transaction. Why is Direct Carrier Billing beneficial for the Telcos? Juniper Research found that operator revenues derived from carrier billed purchases will rise from USD $2.9 billion in 2017 to USD $9 billion in 2022, an average annual growth of 25%. With growing purchases via DCB, operators enabling their customers to buy all kinds of goods and services using their mobile services subscription will add a new revenue stream for the operators. The operators can take a % of the revenue from the transactions, and their customers don’t have to look for a financial relationship with another company. 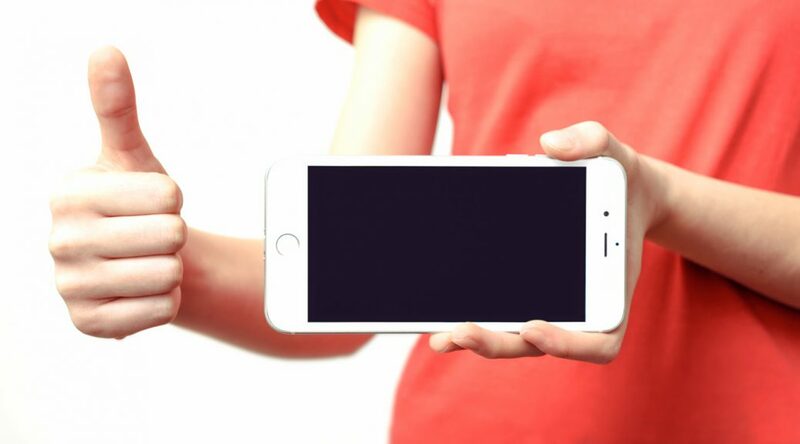 It is a win-win situation for both the operator and the merchant since it also helps the merchant extend their reach by using the operators existing customer base. The higher conversion rate in DCB transactions will lead to an increase in ARPU for operators. The payment method is extremely simple and secure leading to better user experience and reduction in customer churn. Leading Technology firms like Google, Apple and Amazon are also investing in building DCB relationships with operators and vendors (like Fortumo, Bango, Boku etc.). They strongly believe that DCB will allow the unbanked to better engage and participate in the digital economy. 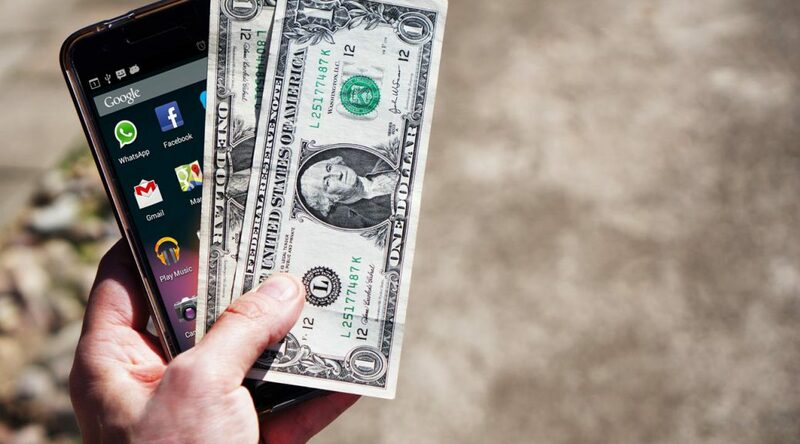 The increasing desire to enable payment across Smart TVs, Xbox and IoT devices emerging in the market, widens the opportunity for Direct Carrier Payment. With most of the transactions completed via DCB, the problem is that maintaining Direct Carrier Billing functionality sometimes fails due to settlement involved between the multiple parties and the frauds in the DCB chain. Subex Direct Carrier Billing Assurance program protects the entire DCB chain providing end to end Risk and Fraud Management. Stay tuned to know more about Subex Direct Carrier Billing Assurance. 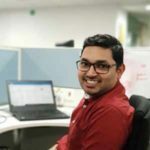 Nirbhika has 9+ years of experience in the Telecom and the IT industry, which includes working with Infosys and Amdocs. Currently, she is working in the Business Solution & Consulting group for the Emerging Markets. Digital Transformation: The Art of War! The silence is deafening, and the breathing heavy. Everyone is waiting with heavy anticipation. The top comes off the Mont Blanc, and the only sound is of the pen on the paper. The VP-Sales surreptitiously pulls out his iPhone, and drafts a text “Deal Done! Congrats…”. The finger is playing near the send button, with every passing second feeling like an eon. The last dot underneath the signature is placed, and without missing a beat, the send button is pressed. The room is filled with a sense of relief, and the muted claps soon turn into backslaps and congratulations…The multi-million $ deal for Digital Transformation is now underway…. 1000s of miles away, the CEO phone beeps discretely. All the weary eyes turn towards the CEO. A faint smile emerges. With the “Yes” and the fist-pump, the room erupts. Years of arduous work has come to fruition. The clinking of the glasses, and the pops of champagne bottles could not drown the enthusiasm, and the spirit of the crowd. The Chief Marketing Manager sneaks out, to work the PR lines. Minutes left before the item makes into tomorrows’ news. Telco Y, one of the leading telecommunications services providers, has signed a multi-million $ partnership with Vendor-Y, for Digital Transformation. Digital Transformation is a strategic initiative of the Telco Y and is aimed at offering an extensive portfolio of services to its customers, enhance customer experience & engagement, and quality of services delivery. The silence is deafening, and the breathing heavy. Everyone is waiting with heavy anticipation. The Head of Billing is pouring through the recent twitter reactions to the Digital Transformation. Digital transformation has become the norm now, and it is nothing short of a war – the war to win over customers, to stay profitable, and survive amongst the fiercest competition. However, studies indicate that most of the migration attempts have resulted in an increase in revenue leakages and has negatively impacted the brand and customer experience. The unfortunate reality is that a majority of telcos are currently seeing issues in their transformation process leading to negative impact aspects around revenue and non-revenue. Reasons for this vulnerability are quite straightforward – the controls that existed with a set process get disrupted, and start to diminish once the transformation begins, thus leaving the operators in a bit of a handicap. As per the recent reports, a leading telecom operator was fined for serious breaches of consumer rule due to inconsistencies in the new billing system and incurred a financial loss of close 4.6 Million Euros. There are also reports of operators losing up to 50 million due to migration failures. “Victorious warriors win first and then go to war, while defeated warriors go to war first and then seek to win”. Which side are you on? The Victorious warrior or the Defeated warrior? Download the datasheet to find ways of becoming proactive in your transformation, and being a victorious warrior. 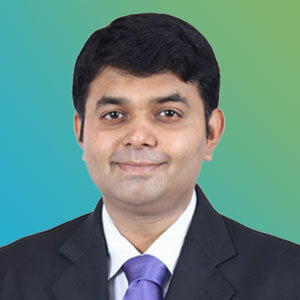 Vijay has 18+ years of experience in the Telecom, Fintech and the IT industry, in various Techno-Commercial roles. Currently, Vijay Heads the Business Solution & Consulting group for the Emerging Markets. 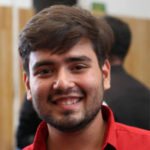 Vijay is a technology enthusiast and a prolific blogger. Why Telcos Need Real-Time Revenue Assurance? Revenue leakage is one of the major worries affecting telcos around the world. The number says it all. The 2017 Global Fraud Loss Survey by CFCA says telcos lose $29.2 Billion (USD) annually, equivalent to 1.27% of global telecom revenues, to several revenue frauds. For telcos, who are also aggrieved by the declining margins from traditional voice business, safeguarding the existing revenue sources thus becomes critical. The rising concerns over revenue loss have brought the discussion around a new approach to revenue assurance (RA). While the revenue assurance solutions in the market address some of the possible threats in revenue leakage, they lag behind in delivering a faster detection and reconciliation capabilities. 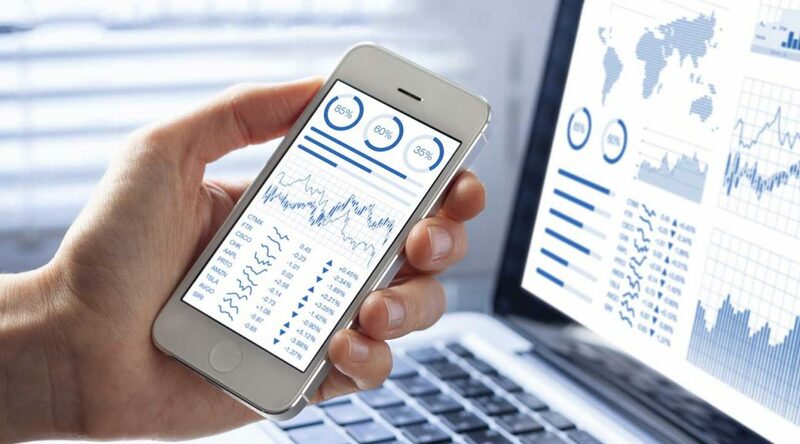 As we see today, the main drawbacks associated with traditional RA solutions is the long gap between revenue leakage detection and revenue realization. Since these systems adopt conventional methods for data consolidation and streamlining, the process requires manual intervention in parsing and auditing. Considering the enormous volume of transaction generated in today’s customer-centric world, telcos cannot ignore such lapses in remediation. Thus, the need arises for an intelligent, automated RA platform that can reduce the gap between these processes to a minimum. Legacy systems also face challenge due to the rapid surge in user data generated from millions of transactions every day. 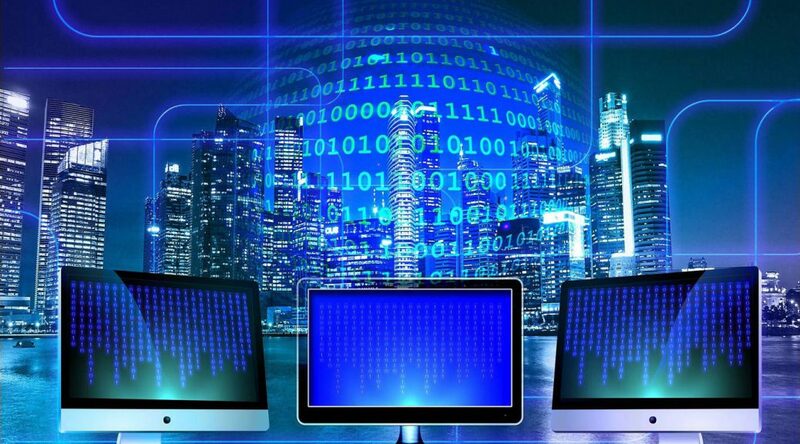 In the wake of new challenges brought by IP networks and the sophisticated interconnection frauds, detecting and remediating the anomalies becomes even more challenging. Real-time revenue assurance focuses on minimizing the time gap between fault detection and reconciliation. 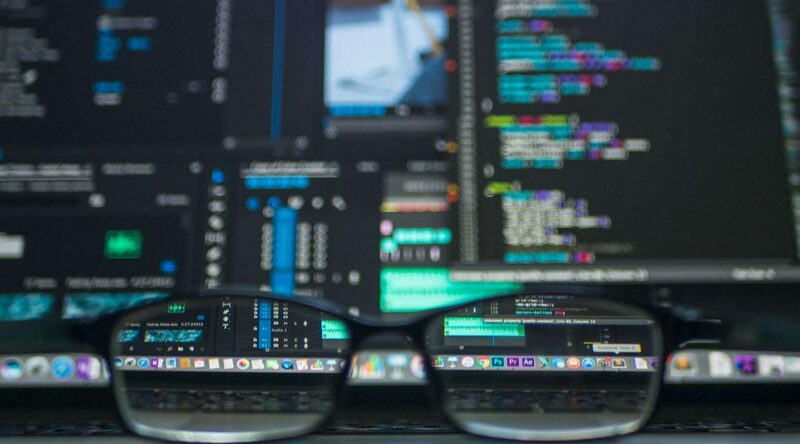 With analytics at the core, the technology enables service providers to detect the threat as soon as it occurs and start the reconciliation process within hours of data inception. Let me elaborate the process a little. The files collected at the source will be pushed to the real-time RA system within a few minutes. 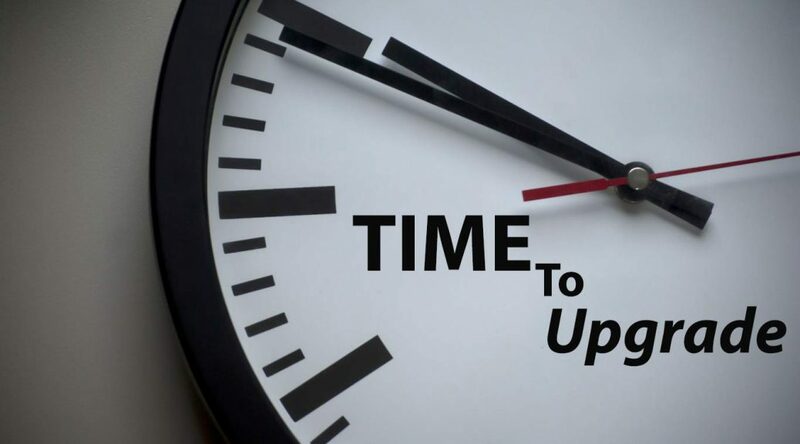 The data is parsed and loaded within, say 30 minutes, and the reconciliation process starts within the next two hours, enabling the early revenue reconciliation than the traditional approaches. Analytics plays a crucial role in ensuring real-time RA. The complex algorithm segregates the data based on a set of parameters, so anomalies can be detected quickly and accurately. Advancements in real-time RA also promise near real-time and even real-time controls on revenue leakage. The output of RA controls can deliver additional insights on each transaction, which can be used to improve sub-optimal processes. What Business Benefits Real-Time Revenue Assurance Bring to Telcos? Since revenue assurance is the most crucial element in a telco business, the impact brought by real-time RA is huge. As mentioned in the beginning, the loss attributed to different types of fraud is incomparable, so a reduction in leakage exposure time results in significant savings. Also, revenue assurance in a telco business is linked to multiple processes including data collection, billing, settlement and operations. Thus real-time RA allows telcos to gain increased visibility into all aspects of subscriber data, which in turn helps them to improve Quality of Service (QoS). 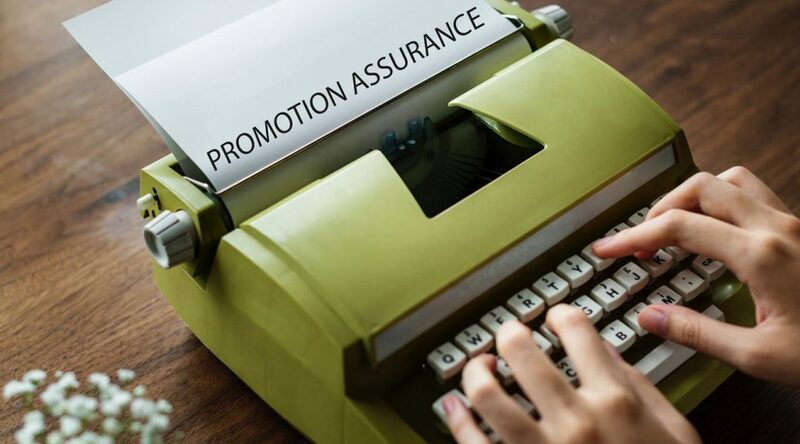 Subscriber management is a key aspect of revenue assurance as it helps telcos to deal with customer attrition. The operators need to have visibility into subscriber’s usage and billing patterns. Such insights will help them to launch the right mix of services that enhance customer value and improve ARPU. Subscriber management, especially in IP-based systems, proves crucial to eliminate billing errors and disputes. Real-time revenue assurance scores in this context as it provides real-time visibility into customer behavior and capture anomalous activities before it impacts the network. Watch this column to gain more insights on revenue assurance for telcos. 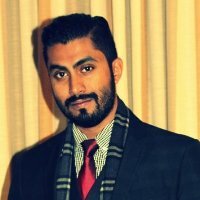 Neeraj leads digital marketing for Subex with focus on Website, Search, social media, mailer automation and MIS. In addition to this role, he also looks after product marketing for Revenue Assurance & fraud Management solutions for the company. 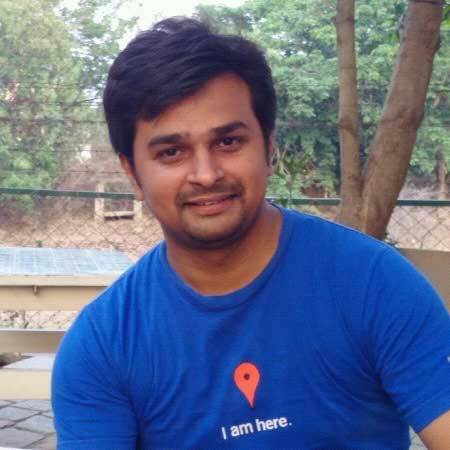 He comes with over 8 years of experience spanning across sales, product and digital marketing. In recent years operators have scaled their thinking into hundreds of millions – but not in terms of data volumes, but instead in the numbers of devices now utilizing their networks. 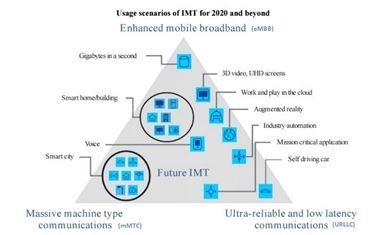 Smart handsets have led the charge of devices, followed (and soon to be surpassed) by IoT devices, and an army of small cells that will serve to densify the upcoming 5G network rollouts around the world. Why are these devices capturing more and more operator attention? With over 1.5 billion smart phones shipped from manufacturers in 2017, the amount of investment by telecom operators just in this device category alone amounts to approximately 20% of their overall operational budget. However, each year tens of millions of dollars of this opex are being written off as losses by operators due to issues with logistics (forward and reverse), fraud, and process misalignments; device journey oversight doesn’t exist as a discipline today. Subex has invested almost two years researching this domain, including talking with operators of all sizes around the world. What we have found is an expanding set of exploitable gaps that current systems and practices are incapable of closing. Points of risk exist across internal processes, channel partners, distribution and supply chain, and various other areas leading to (and sometimes even originating from) the end consumers. These risk points accumulate losses for operators that range between $500K USD to over $10M USD per month, per operator, depending on size of the operator. 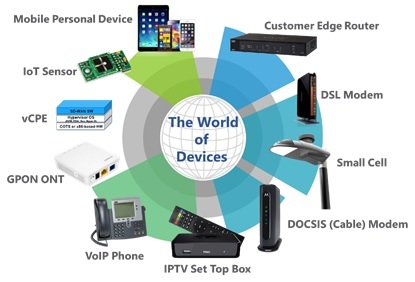 The device growth area today is not only in smart handsets, but also in a wide array of small cells, sensors, and various other categories. With already significant gaps existing in oversight, this new breed of devices puts an even greater risk on operating budgets. Under current estimates, deployed IoT devices alone in the next 5 years will exceed 200 billion units, dwarfing the handset counts worldwide. Can losses be sustained, or even ignored, at these levels? Subex will be speaking about a comprehensive strategy and methodology for Device Journey Management during a presentation at the CFCA Winter Conference in Las Vegas on February 6th, 2018. We will also be at the Mobile World Congress in Barcelona later in February where we look forward to speaking with operators encountering the same problems. Vice President – Product Management – John Brooks serves as the Vice President of Product Management in Subex. He has over 26 years of experience in Telecommunications, spanning Fixed, Mobile, Data, and Video technologies. Within the industry Mr. Brooks was a board member for the GBA, founded the TM Forum Fraud team (authoring the first International Fraud Operations and Fraud Classifications guides), and now leads the TM Forum Network Asset Management team, focusing on transformative best practices for SDN/NFV operations. 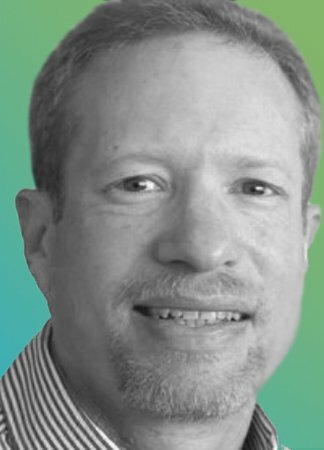 Over the years Mr. Brooks has served as an Advisory Board member for a prominent technical university, and has spoken at over 50 industry events and authored numerous papers on topics spanning IoT, Digital Disruption, Big Data, and Enterprise Risk Management. With Subex (formerly Connexn/Azure) since 1999, he has directed over 40 successful Cost, Revenue, and Business Optimization engagements at over 24 top-tier carriers globally, including AT&T, America Movil, BT, Vodafone, and Verizon. In my role leading business solution consulting for Subex Network Analytics, I traverse a lot of time zones. People assume I have sage advice and perhaps an elixir to cure jet lag. Sadly, I slog through the transitions like everyone else, employing a variety of coping strategies. I just read about an intriguing approach that some members of the US ski jumping team will use at the Winter Olympics. They are embracing jet lag, purposefully showing up just days prior to competitions. Why? For them, it is best not to think too much as they soar into the abyss. Being in a foggy state may be an asset for some, but the rest of us still need to find ways to stay on our game as we trot the globe! Fortunately, I managed to keep my edge for the Risk and Assurance Group (RAG) conference in Sydney, after traveling 18-time zones to get there. It was a very worthwhile event, held on the Optus campus, with a good mix of operators and vendor partners. 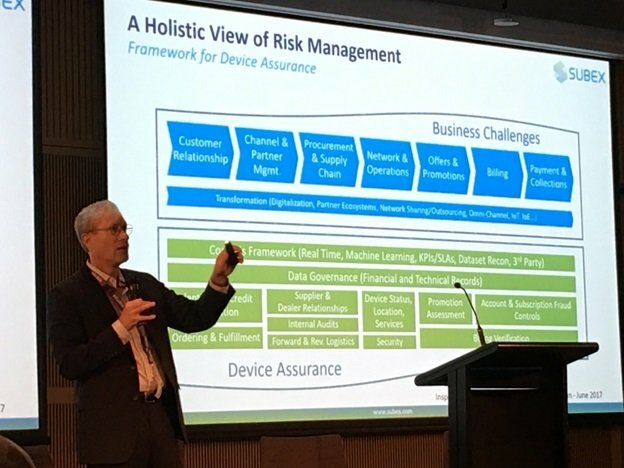 Anamitra Mukherjee (Optus) delivered the keynote and provided material examples of how his team is challenging the traditional boundaries of RA, branching into areas such as handset assurance and network assurance. Members of his team, Sujith Dissanayake and Gihan Samarawickrama, provided more insights on handset assurance during their talk later in the conference. Anamitra explained that Network Assurance enables operators to determine whether they are spending the “right dollars” on the network. Are there opportunities for cost savings such as harvesting unused assets and redeploying them? He went on to describe the benefits of reconciling the fixed asset register against the physical network. Payoffs include better asset visibility, more accurate depreciation schedules and efficient tax strategies. Calculating the profitability of cell sites is another area his team is exploring. To the list of assurances, I joined the party and added device assurance. Subex is observing that usage-based frauds have been in decline (although IRSF continues to be popular) and there has been a sharp uptick in device and equipment issues. Device/equipment frauds, thefts, reverse logistics breakdowns, etc. are becoming endemic. During my talk, I pointed out that such issues are not limited to mobile handsets. CPEs, set top boxes and even small cells can be considered devices and all have their own risks to mitigate. To this mix you can add vCPEs and the need to control for excess license costs. There certainly is a new world of assurances to contemplate. In my book, there is only one missing. Any takers for jet lag assurance? Andy has 20+ years of experience in engineering management, business operations and IT, primarily with Tier 1 operators including Level 3, MCI and GTE. His responsibilities included leading IT development teams that built mission-critical network management, provisioning and inventory systems with thousands of users. Prior to joining Subex, Andy was a Senior Manager overseeing a Data Governance organization at a major Internet Services provider. Andy graduated from the University of Pennsylvania with degrees in Electrical Engineering and Economics (Wharton). He holds an MBA from the University of Colorado.